It’s that time of the year again, when ski enthusiasts look for the next best ski resort. Unfortunately, Albania doesn’t have ski resorts – it does, however, have excellent ski opportunities, and one of the best and most scenic of all is the beautiful Valbona Valley, in the Tropoja District of Northern Albania. 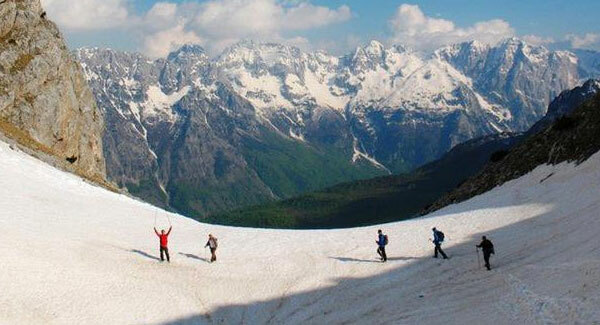 Skiing in Valbona Valley is a discovery journey. Tourists don’t flock here from all over the world – there are no ski lifts to take you up the peak; and no maintenance vehicles on the slopes. But there is a national park, Valbona Valley National Park (Parku Kombëtar i Luginës së Valbonës) – a wild mountainous region, with rich history, and traditions waiting to be discovered. It is a place where travelers are welcomed with a smile, and with the warmest human generosity you’ve ever imagined. Valbona Valley is a year-round destination, however, winters are more scenic, and wilder – ideal for those with an adventure spirit. The village of Valbona is secluded, with few lodging possibilities for travelers, no stores, post office, doctors, gas station and so on. People here depend greatly on the earth for subsistence, farming the earth and breeding animals for food. Most people still don’t have running water in their houses, and you can only imagine that other “luxury” amenities such as showers are missing as well. In other words, what you will experience in Valbona is authentic Albanian country-life – in all its beauty, and with all its ups and downs. If a Journey to Valbona tempts you, you can stay at Alfred Selimaj’s Rilindja hotel, where the restaurant serves up traditional Northern Albanian fare, including whole goats roasted on a spit. There’s a camping on site as well, charging only 5€ per person per night plus expenses for electricity and other services. 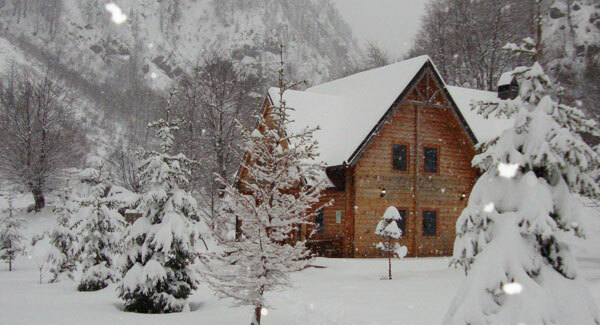 Another option, as interesting, is the Quku i Valbonës (‘Valbona Hollow’) guesthouse – a unique experience as well, where guests are treated with delicious traditional meals cooked with fresh ingredients grown at the farm. The prices are mind-blowing: 15€ per person, per night with breakfast; and 25€ per person, per night with 3 meals. Top make the offer even more appealing, 10% discounts are available for anyone staying for 5 days or more during the high season (1 June through 30 September); and 10% discounts for all during the off-season. 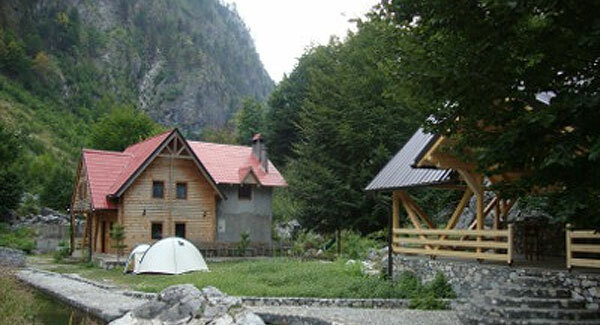 Aside these two beautiful options, there are 7 other Guesthouses in Valbona, and three other hotels are planned for the near future. Valbona Valley featured image, courtesy Discover Albania on Facebook; all other images, courtesy Journey to Valbona – the best site for all things Valbona, written by Catherine Bohne..